TCS World Travel has hosted guests on adventures of a lifetime for over 25 years. Our all-inclusive journeys deliver unparalleled and meaningful experiences—with exceptional quality and service—in unique destinations around the globe. 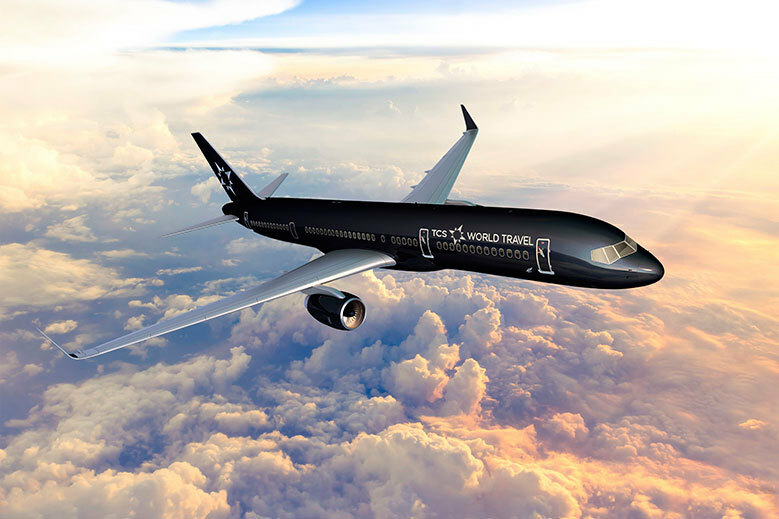 The pioneering leader in private jet expeditions, TCS World Travel has developed and operated over 240 trips to more than 200 destinations worldwide. From the shores of the Arabian Sea to the Himalayas, immerse yourself in nine destinations with fabled pasts, vibrant cultures and pristine landscapes. Travel the length and breadth of Africa, exploring the wildlife, landscapes and cultural wonders of eight diverse countries on this fascinating continent. Discover the palm-fringed islands, romantic beaches, unique wildlife and ancient treasures of the Indian Ocean on this seamless, all-inclusive journey. Discover Byzantine treasures, ancient cities and UNESCO World Heritage sites, along with hilltop villages, alpine lakes and picturesque coastal towns, on one seamless, all-inclusive journey through the Balkans. Follow the midnight sun around the globe to the world’s northernmost reaches—including a four-day cruise through Norway’s Svalbard Islands —to seven unique destinations on one seamless, all-inclusive journey. Discover nine legendary destinations—including 14 UNESCO World Heritage sites—that have captured the imaginations of humankind on one seamless, all-inclusive journey.